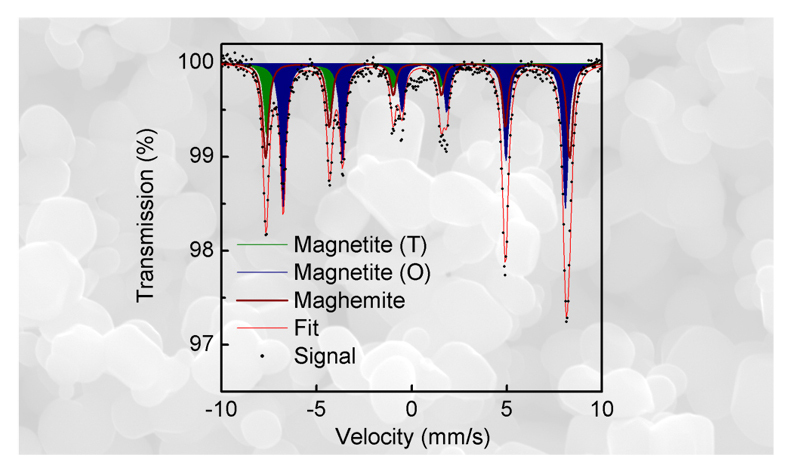 This study presents an investigation of thermal decomposition of ferrous oxalate dihydrate in the combined atmosphere of inert and conversion gases to find an optimal route for a simple magnetite preparation. Homogenized precursor was isothermally treated inside the stainless-steel cells at 8 equidistant temperatures ranging from 300 to 650 °C for 1, 6, and 12 hours. The enclosure of samples inside the cells with the combined atmosphere eliminates the necessity of the inert gas to flow over the treated samples. Structural, magnetic, and morphological aspects of the prepared materials were examined by the combination of experimental techniques, such as Mössbauer spectroscopy, X-ray powder diffraction, and scanning electron microscopy.